Gene Autry performs "Wanderers'" on Movie Shooting High 1940. Shooting High is a 1940 American Western film directed by Alfred E. Green and starring Jane Withers, Gene Autry, and Marjorie Weaver. 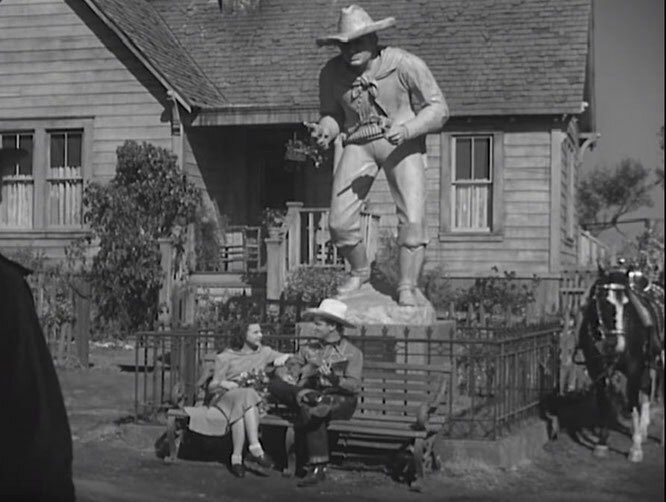 Written by Lou Breslow and Owen Francis, the film is about a generations-old feud between two families that is resurrected when the town banker tries to contrsuct a highway through the area bearing a monument to the frontiersman ancestor of one of the families. Shooting High was Gene Autry's first film away from Republic Pictures, his first as a mere co-star, his first without the comic presence of Smiley Burnette since 1934, and his first playing a character other than himself.